A Guatemalan toddler who died weeks after crossing the U.S.-Mexico border with her mother is at the center of a wrongful death claim that's seeking $60 million from the federal government. Mariee Juarez and mother Yazmin, who told ABC News she was fleeing an abusive situation at home, illegally crossed into the United States earlier this year, but they were detained and taken to a family detention center in Dilley, Texas, where all medical care is provided by U.S. Immigration and Customs Enforcement Health Services. Medical records obtained by ABC News amid an ongoing investigation of health care practices in immigration detention centers in partnership with the nonprofit criminal justice watchdog The Marshall Project show there was no indication Mariee was sick when she entered the facility, but she soon developed a respiratory infection that Yazmin says was inadequately treated for nearly two weeks. Mariee visited the health clinic several times, medical records show, where she was seen on several occasions by physician assistants and a nurse, but she only saw an actual doctor once. 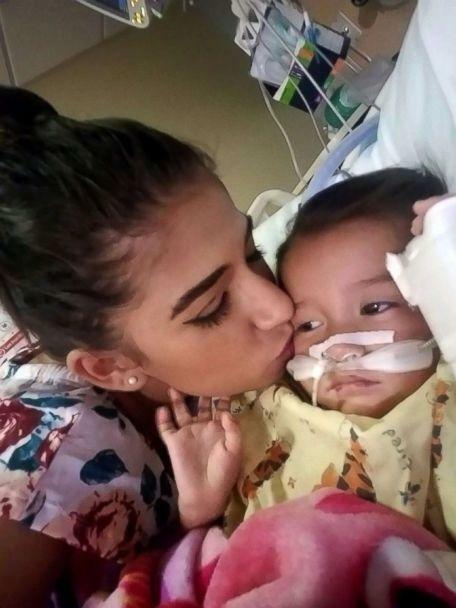 "Frankly, to me, it was completely irresponsible," Yazmin told ABC News of her daughter's medical treatment at the Dilley facility. "I think they should think about the children. The children are little angels, and this is not their fault." After 20 days at the detention facility, Yazmin and Mariee were released to fly to join Yazmin's mother in New Jersey. According to Yazmin's wrongful death filing, no medical personnel examined or cleared Mariee for the flight. Mariee's condition worsened on the flight, and hours after landing she was taken to the emergency room. After six weeks in hospitals, she died. On Nov. 27, lawyers for Yazmin filed an administrative wrongful death claim seeking $60 million from the federal government. 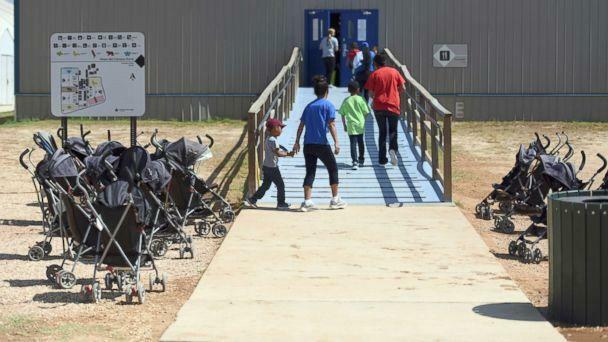 In a letter accompanying the claim, attorney R. Stanton Jones asserted "Mariee died because the medical care she received at the Dilley detention facility was woefully inadequate, neglectful, and substandard." In response to questions from ABC News, an ICE spokesperson said the agency was unable to comment because of Yazmin Juarez's legal claim but released a statement saying, "ICE takes very seriously the health, safety and welfare of those in our care ... including providing access to necessary and appropriate medical care." But critics say Mariee's case is not an isolated one. Human Rights Watch, the prominent international research and advocacy organization, obtained medical records for 52 ICE detainees who've died since 2010, and their experts concluded that almost half of those death were linked to substandard healthcare. Dr. Mark Stern, a former healthcare consultant for the Department of Homeland Security who once investigated allegations of insufficient or poor healthcare at ICE facilities, said those records show people are "needlessly dying" in a "broken system." "I'm not surprised that people are dying," Stern told ABC News. "It is preventable." For Yazmin, the tragedy has left her with an uncertain future. "After all the ugly things I lived in Guatemala, I had so many dreams for her, so many expectations," she said. But she's sure she knows why her daughter died. "I think it was because they did not care," she said. "They didn't care." John Carlos Frey is a five-time Emmy Award-winning journalist who specializes in coverage of the U.S.-Mexico border for The Marshall Project. ABC News' Dylan Goetz and Jinsol Jung contributed to this report.